Looking for a hotel in the heart of historic Boston? These hotels put you just steps away from Boston Common, the Freedom Trail, lively taverns and restaurants dating back to the Revolutionary War, and famed Faneuil Hall Marketplace. These hotels range from historic to contemporary, from boutique to large, and all offer many luxury touches. TD Garden, home to the Boston Bruins and Celtics, and venue for many of Boston's top headliner concerts is almost on your doorstep. Beacon Hill and colonial-era Haymarket are also close. You'll also love this convenient location if you're arriving at Boston Logan Airport. Just hop on a water taxi for the 8-minute ride to Long Wharf on the downtown waterfront, and then walk or take a 2-minute cab ride to your hotel. Located directly on the Freedom Trail across from King's Chapel, the Omni Parker House is one of Boston's most historic hotels, operating since 1855. 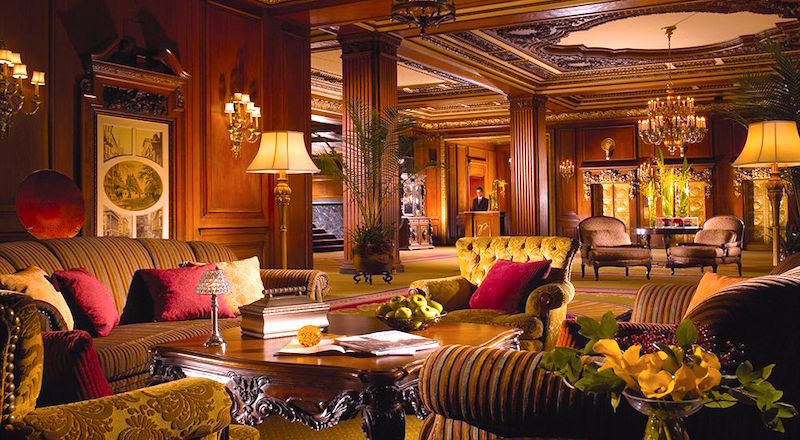 From the grand lobby to the 551 guest rooms and suites, the Omni Parker House combines luxury with historic vintage decor. Be sure to stop by the legendary Parker's Restaurant on the lobby level for a slice of Boston cream pie, which originated here. The hotel also features a whiskey bar (The Last Hurrah) and Parker's Bar, where Emerson, Thoreau, Hawthorne, Longfellow and other 19th century "Saturday Club" members used to hang out and debate about literature. XV Beacon's location in an ornate 1903 Beaux Arts building half a block from the Freedom Trail places it squarely within the downtown historic area of Boston. 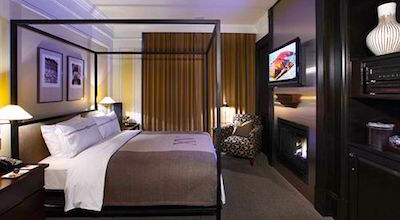 Fifteen Beacon offers gas fireplaces in all of its 62 rooms, sleekly sophisticated contemporary decor, Frette linens, down comforters, free WiFi, pet-friendly policies, personalized service, and complementary car service. Lots of people consider the Millennium's location to be perfect. Located across from Faneuil Hall Marketplace, the Millennium is also close to the Freedom Trail and other historic sites, as well as the Waterfront, the North End, and TD Garden. You can expect super-comfortable rooms, including some with balconies and/or fireplaces. The Ames Hotel rivals the Millennium for closeness to Faneuil Hall Marketplace. The Ames is even closer to Beacon Hill and the Freedom Trail sites. Look for contemporary, almost minimalist decor in this luxury hotel - and stop by trendy onsite restaurant/bar Woodward for a drink or meal. Nine Zero, part of the popular Kimpton hotel group, offers a Freedom Trail location close to Boston Common and Park Street Church, and across the street from Granary Burying Ground. Nine Zero offers comfortable contemporary furnishings, stunning views, and exceptional pet- and kid-friendly amenities. Look for hotel bikes to use around the city, a hosted wine reception in the lobby every night, and many luxury touches in your room. 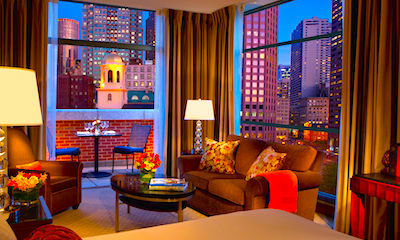 With 5 excellent hotels in Boston's historic center, how do you choose which one is best for you? 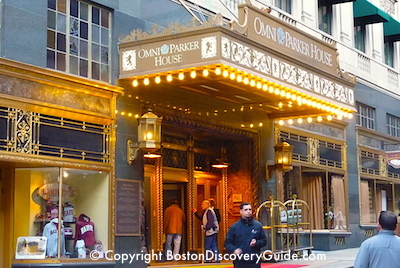 If you want to experience the splendor of a truly historic (but beautifully renovated) hotel, pick Omni Parker House. Boston Insider's Tips: 1) If you're used to modern hotels with cookie-cutter accommodations, Omni Parker House is the opposite, offering many different types and sizes of accommodations ranging from compact rooms to huge suites at a wide range of price points; 2) Parker's Bar, favorite haunt of 19th century American writers, is still a splendid place for a drink or a cup of tea accompanied by Boston Cream Pie. 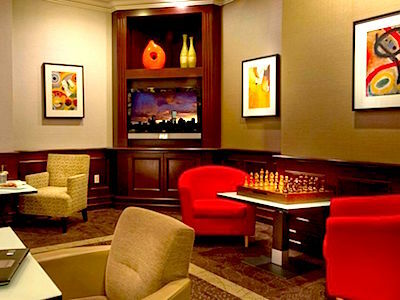 If you like sleekly contemporary but stylish decor, choose XV Beacon or Ames Hotel. For luxury (and a fireplace in your room), choose Fifteen Beacon. For luxury touches and more competitive rates, choose the Ames. 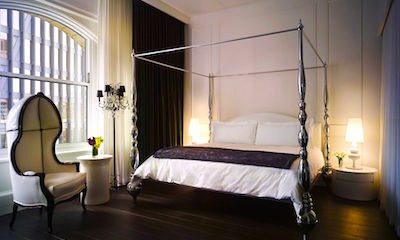 Boston Insider Tips: 1) If you're considering XV Beacon, check out their special deals - they usually offer a variety of appealing packages that can save you money and add to your fun; 2) Ames Hotel offers a variety of room decor options, so if you want something special such as a four-poster bed, request it when you book. If you're a fan of Kimpton hotels (or want to find out why everyone raves about this brand), Nine Zero will be your choice; you'll love the hotel bikes for guests to use, the yoga mat in your room, and the wine reception each evening. Boston Insider Tip: 1) If you're traveling with a canine companion, both Nine Zero and XV Beacon are highly regarded for their dog-friendly policies; 2) if you choose Nine Zero, sign up for the Kimpton Karma rewards program to get extra perks. If you want to be right next to Faneuil Marketplace, Haymarket, Boston Public Market, the Greenway, and very close to TD Garden and the surrounding nightlife, choose the Bostonian Boston. Boston Insider Tip: The onsite restaurant, 26 North, is excellent. What if none of these factors matters to you? 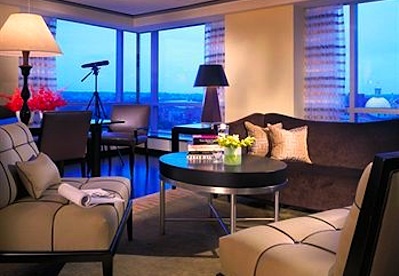 Make reservations in whichever hotel offers the cheapest rate. You'll be happy in any of them. 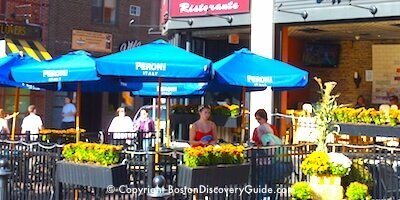 And they are all within a few blocks of each other, as well as all the Historic Downtown Boston attractions. All of these hotels are popular with both leisure and business travelers, and tend to book up quickly because of their location. Make your reservations as soon as you know your dates in order to get your top choice. More Historic District Attractions - Like history? Boston has plenty for you to see & explore!